Replacement Cost vs Actual Cash Value: Which is Better? Day 001 | Replacement Cost vs Actual Cash Value: Which is Better? If your home suffered a loss today…fire, tornado, hail storm…you’re going to want to put all of the pieces back together as soon as you could, right? Replacement Cost vs Actual Cash Value can by confusing and extremely important. Replacement Cost is going to repair or rebuild your home, just like it was before the loss. New for old. Subject to your deductible. Actual Cash Value will be replacement cost less depreciation. Oh and you’re still subject to your deductible. $10,000 to replace your roof – $1,500 deductible = $8,500. We’re using 25% for depreciation because your roof is 5 years old. In the example above the roof has a life space of 20 years. Do you know if your home is covered for Replacement Cost or Actual Cash Value? 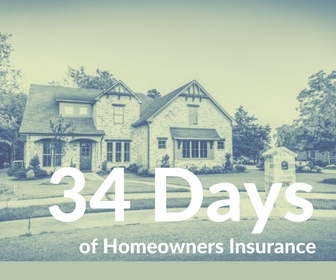 Check out all 34 Days of Homeowners Insurance here.